We are remarkable enterprise, involved in offering superior quality Aluminium Pilfer Proof Caps. 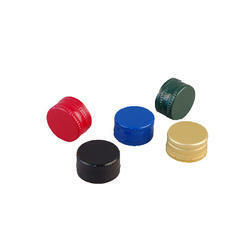 Followed by its effective performance, our range of Aluminum Round Bottle Cap is largely appreciated by our clients. Furthermore, our range of offered bottle caps are reliable are made of using excellent quality endowed aluminum that again is responsible for its durable standards. These caps are made out of aluminum material, used in pressurized bottling like Pepsi, Coke and carbonated drink. - Good quality plastisole used as liners, holds the pressure and protects the contents in the bottle. Our company holds immense experience in this domain and is involved in presenting an enormous quality range of Aluminium Bottle Cap. In our wide collection of products, we have superior quality Screw Caps. These are air tight and thus help the balm, lotion, ointment in preserving their original properties. Also, these are made using tin plate material, which is procured from reliable vendors. Metal Caps offered feature precision construction finish so as to provide high working accuracy in different end applications it is used in. The offered range is made utilizing premium grade raw material and latest machinery by reliable vendors, who ensure to bring it in adherence with the industry laid norms and standards. 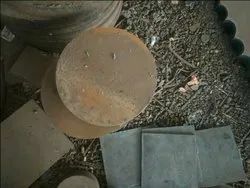 These Aluminium Bottle Caps being resistant to high temperature are used mainly as covers for medicine bottles as well as in breweries. Customers may easily obtain these Aluminium Ropp Caps from us at minimal price.